For general topics on scratchbuilding. In the end it may come to proving that it is scratchbuilt. I read a story once about a model boat builder (those guys can get really picky about the rules in competitions since there is a lot of honour at stake). 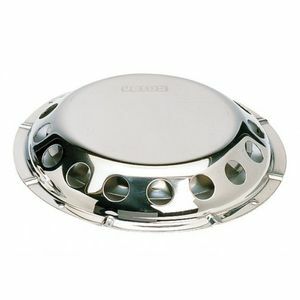 Domed polished stainless steel with round holes in the sloping sides. He had designed and photoetched the metal, figured out the proper shape of the holes so that they would become circular when the flat metal was pressed to the domed shape. I don't remember if he had etched them from stainless steel or if he had electroplated them afterwards. In any case they looked really good. At the competion a bunch of jealous competitors and judges accused him of not having made these parts himself. Since he didn't have pictures from the process showing his hands working on the unfinished parts he got disqualified. Thereafter he wrote an article in a boat modelling magazine describing how he had made these parts and told about the competition and that he had now been "cured" of the desire to participate in that type of competition. The "all scratch" can get extreme. "Hah, the windings are made of commercially available copper wire"
"Hah, the copper wire you made comes from copper ingots you bought from Chile"
"Hah, this is not scratchbuilt since you have not produced your own styrene sheets"
Sounds like scratched building to me. "On the 8th day God created RANGERS, and the gates of hell where opened"
"RANGERS, LEAD THE WAY, ALL THE WAY!" It will depend on the rules of the particular competition but the usual definition that I see is that if it’s not from a commercial kit, it is scratchbuilt. I would classify parts which are available commercially (e.g. resin or etch) but which the designer has used in his own model as scratchbuilt also, so the same would apply where the designer created CAD drawings and then had them 3D printed. If he had not done do, they would not exist, which sounds like scratchbuilding to me. I would like to know,when it comes to the subject of scratch building in shows,if you make something in 3d,does that consider to be scratch building,if you put it in the scratch building category?